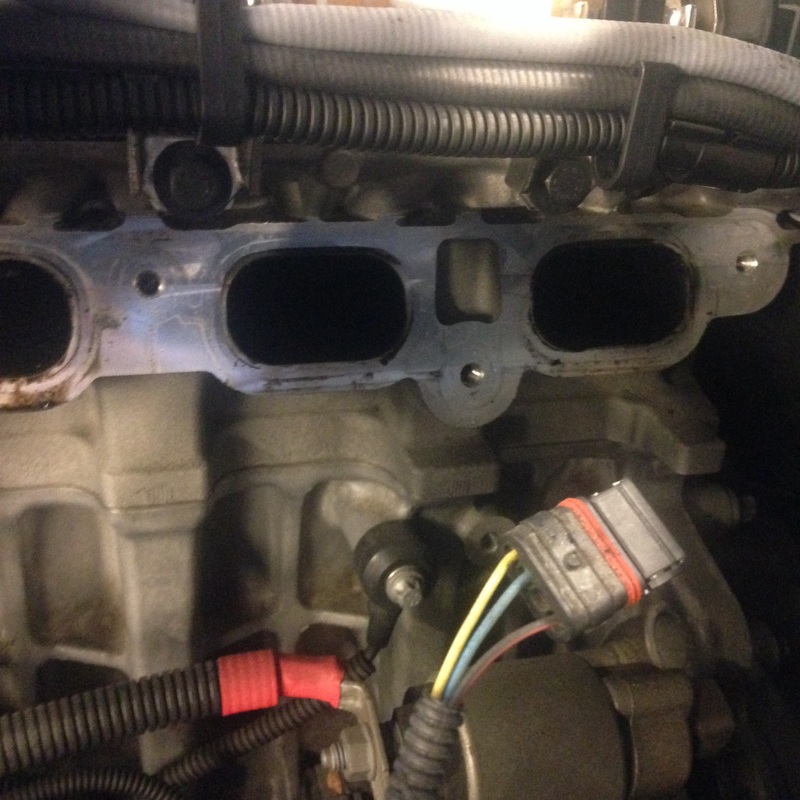 335i with a N54 with carbon build up,,,,car ran ok,,,,but you could notice a rough idle,,,,which was caused by to much carbon build up on the intake valves,,,,,when removing the intake manifold,,,,remember to also remove the manifold studs,,,,removing the stud helps out a lot when removing the manifold. 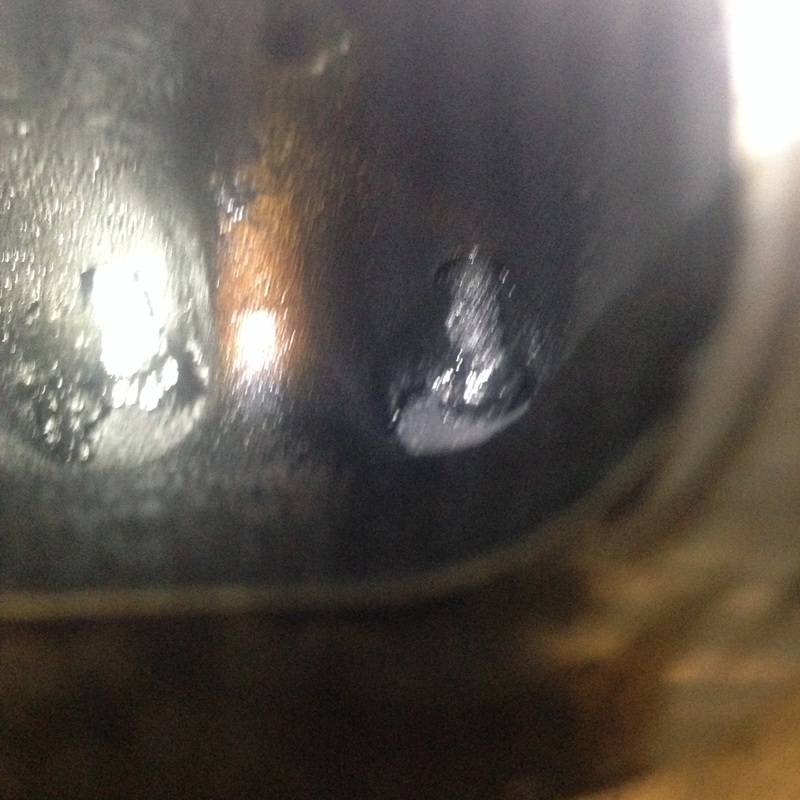 Here you can see the build up on the intake valves. We use walnut shells to clean the valves,,,,using walnut shells is nice,,,but it leaves a big mess and its a lot of work,,,,I have done this repair at home for some friend,,,,I have used some good intake valve cleaners and I would turn the motor over until the valves are closed,,,,then pour the cleaning solvent inside the intake and soak the valves,,,once done soaking,,,,I would use a long pick to chip off the carbon,,,,,some of the picks I use look like dentist tools,,,,it takes some time but you can do this job at home. 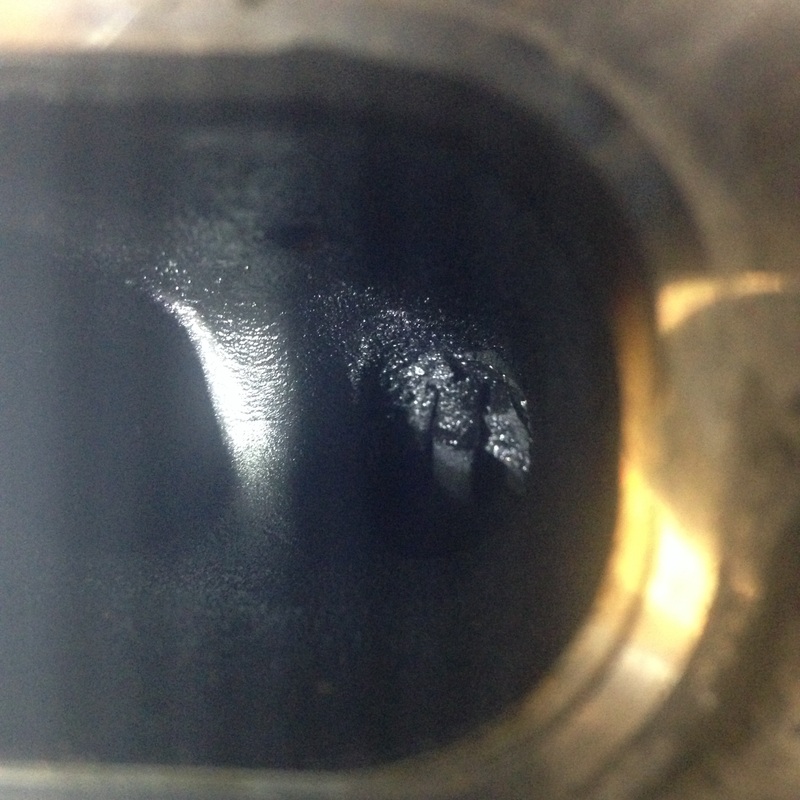 This entry was posted in Uncategorized and tagged carbon build up, intake valves, N54. Bookmark the permalink. Is there any additive you can add to the gas to prevent this? If so, how often? Concerning ethanol and non ethanol gas which one of these gases will leave less carbon build up? If no fuel is passing the intake valves what than, just air? How/what is making them so dirty? In your opinion what gas would be best to burn in the car, gas with ethanol or gas without ethanol? In California we have very hard fuel laws,,,,we have premium fuel,,,,yes the main thing is just air going past the intake valve,,,,but with the turbos,,,,there might be some oil blow by with turbo,,,,which then pumps some air and some oil into the intake valves. My son tackled this project on a 335i exactly as you described. About 80,000 miles. The job was done as a preventive measure more than anything else, but yah, MESSY, MESSY. On a related note, F01….possible to do at home too? Very cool,,,I’m glad he was able to do it at home,,,,on a F01,,,,,no you can’t do it at home,,,,the whole engine and trans with subframe has to be dropped out of the car to remove the intake manifolds,,,,,remember the intake manifolds are on the outside of the V ,,,,,so the intake manifold are up against the sides of the engine compartment.